A mild flavor with an elegant aroma which is unique to pure rice sake that leaves a clean after taste. A palatable masterpiece sure to keep your tastebuds interested. This sake is brewed exclusively with specially contract farmed Yamada Nishiki brewer’s rice. Its complex flavor profile embraces many types of cuisine. Enjoy chilled in a wine glass, as well as warmed. Full yet refined, the right amount of aroma spreads across the palette and travels down smoothly. The timeless wooded interior of the restaurant was inspired by traditional Japanese inns. 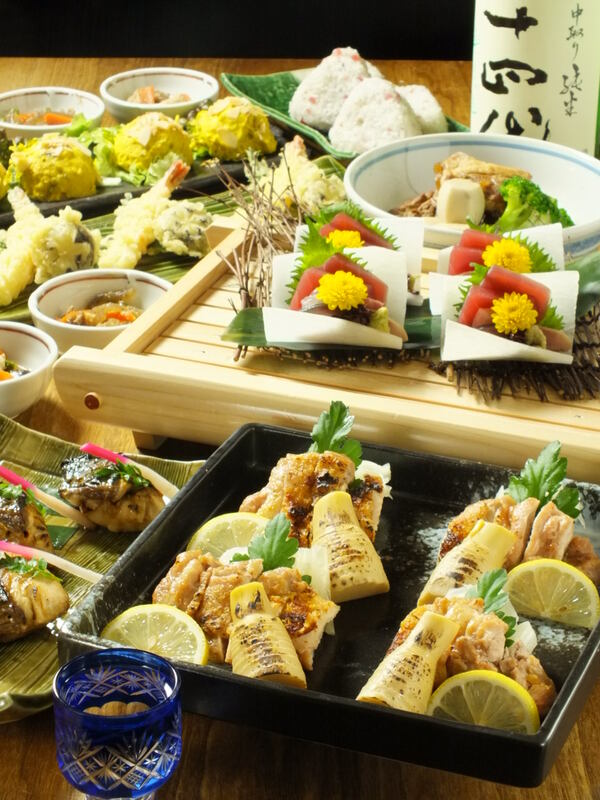 Our skilled chefs prepare dishes using hand selected quality ingredients such as Iwai chicken with a clean and mild flavor and freshly caught seafood shipped from various places. 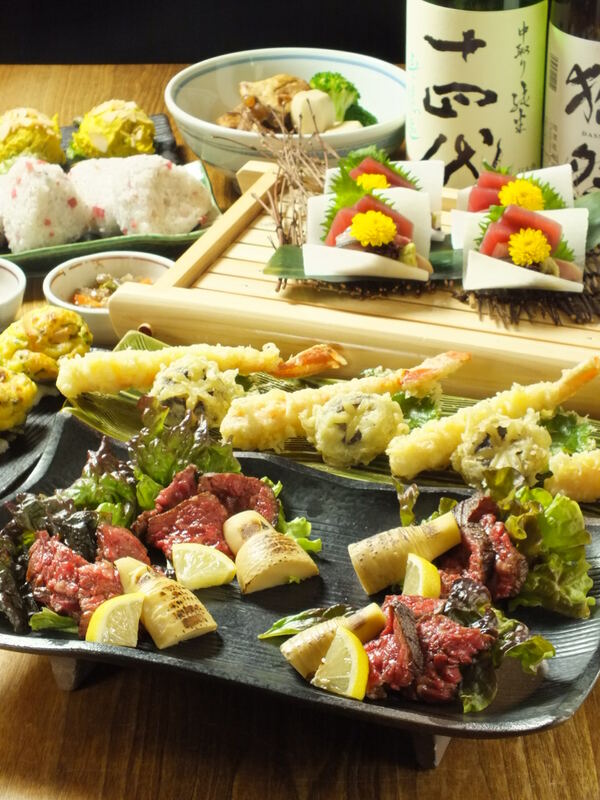 Savor our flavors and ambiance to your heart’s content; that is the essence of Hatago’s hospitality. Seating of 109 including private rooms, irori sunken hearth seating, counter and table seating. Enjoy the versatility assured to fit your mood or occasions. 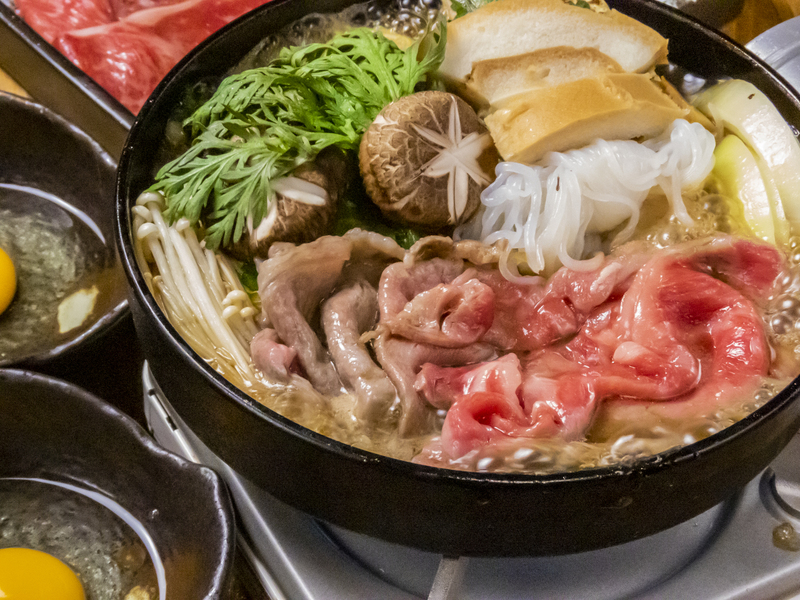 Why don’t you eat Sukiyaki at Shinjuku Hatago? Since it’s getting cold, how about a party with a pot course? There is a recommended sake.